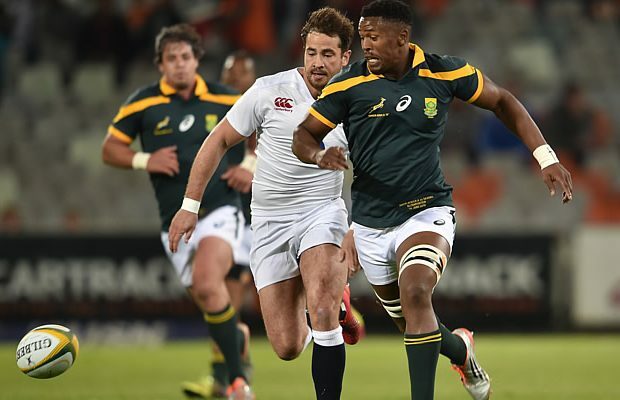 England Saxons held off a second half comeback from South Africa A to win 24-32 in Bloemfontein South Africa. The Saxons outscored South Africa by four tries to three and set up the victory in the first half as they led 3-22 at half time. Having scored three first half tries the Saxons looked set for a comfortable victory but South Africa came back in the second half and outscored them 21-10. England finally broke South Africa’s comeback with three minutes left when Christian Wade chipped the ball ahead as he ran down the touchline which allowed Ollie Devoto to score the visitor’s fourth try which put the result beyond their hosts. The victory did come with a cost as winger Alex Lewington had to be helped from the field with a serious looking leg injury which will most likely end his tour. 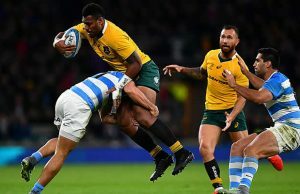 The Saxons fielded team with a total of 60 senior caps while four of the SA A forwards had Test experience with the Springboks while there were two more on the bench. 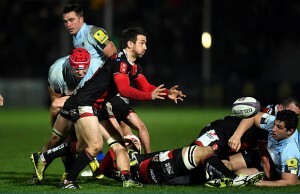 Former England flyhalf Danny Cipriani kicked two penalties and converted three of England Saxons’ tries. In addition to Devoto’s late try Alec Hepburn, Semesa Rokoduguni and Dan Robson crossed for the Saxons. Francois Brummer, Piet van Zyl and Sikhumbuzo Notshe scored tries for the hosts in Bloemfontein. The teams meet again next week at Outeniqua Park in George on Friday where England Saxons are hoping for another victory which will win the series. Replacements: 16 . Malcolm Marx , 17 . Lizo Gqoboka , 18 . Coenie Oosthuizen , 19 . RG Snyman , 20 . Jean-Luc du Preez , 21 . Piet van Zyl , 22 . Francois Brummer . 23 . Lukhanyo Am.